The cover of "So Little Time" sports the only photo published in color. In spite of the proliferation of color photography in our Digital Age, where the cell phone has made taking pictures a snap, there are still "art photographers" celebrating the less colorful but often more powerful beauty of images in simple black and white. Exhibits featured this month at The Dianich Gallery and Vermont Center for Photography bring the beauty of black and white into sharp focus. These exhibits also have connections with the literary world, where black-and-white usually refers to words on the printed page. At the Dianich, Gallery Walk visitors will find a full-blown Book Party in progress, with readings, book signings, and even live music, while the exhibit at Vermont Center for Photography is of the now-empty cabin and its surrounding landscape in Ripton, Vt., where poet Robert Frost stayed in summers and was inspired by the setting. 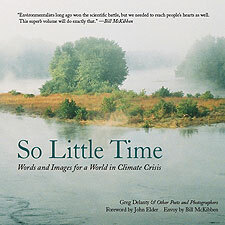 Green Writers Press, a new Vermont-based global publisher in Brattleboro, is hosting the opening reception and book party for So Little Time: Words and Images for a World in Climate Crisis. Saint Michael's College poet/professor Greg Delanty is the lead author of the book, which features Delanty and other poets, essayists, and photographers, as well as a foreword by nature writer John Elder. The collected poets in So Little Time include Delanty, Grace Paley, Hayden Carruth, Seamus Heaney, Galway Kinnell, Verandah Porche, Ken Kebson, Wyn Cooper, Ross Thurber, Julia Alvarez, Major Jackson, Billy Collins, Maxine Kumin, Antonello Borra, Adrienne Rich, Adrie Kusserow, Charles Simic, Jane Hirshfield, and many more, as well as environmentalist writers Bill McKibben and others. A number of the poets and photographers included in this beautiful volume will be present during Gallery Walk and will read from the book. The book merges poetry and quotes with stunning black and white photography by such artists as John Willis, Lynne Weinstein, Catherine Dianich Gruver, Steven Brock, Zachary Stephens, Evie Lovett, and others. The Gallery Walk reception will also include live acoustic music by Electric Fence. In addition, Green Writers Press authors Brian D. Cohen and Holiday Eames will be on hand to sign their books (The Bird Book) and nauralist Patti Smith will offer a special pre-ordering discount on her February book, The Beavers of Popple's Pond. Proceeds of book sales will benefit 350-Vermont. 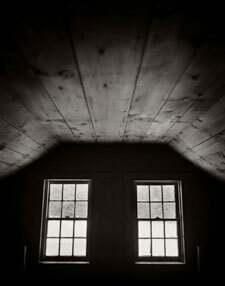 After Gallery Walk on January 3, the exhibit may be seen during the month by appointment; call (802) 380-1607. From 1940 to his death in 1963, Robert Frost spent summers on the Homer Noble Farm in Ripton, Vt., while teaching at the Breadloaf Writer's Conference. The farm, and the small, rustic cabin up the hill where Frost lived and worked, is owned and maintained by Middlebury College as a memorial. 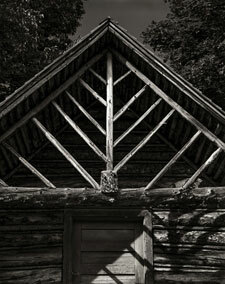 A colleague of photographer Brett Simison, familiar with some of his other work, suggested Brett visit the farm because he might find it interesting. Simison borrowed keys to the buildings so he could wander leisurely and "get some perspective on why Frost loved this area so much. 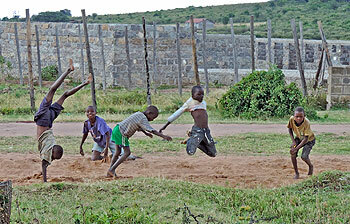 From the very first visit I could see there was great potential for a set of images." Then he dived into reading all the Frost he could find to use as "a starting point ... [but] also sensed a darker current, something lonely and disconsolate." Many visits over the course of a couple of years resulted in a stunning set of images of the cabin and farm grounds, as well as the surrounding forests and trails. Simison not only captured the natural beauty of those places that inspired Frost in this portfolio but also "a little of the darkness I found in those empty rooms." An Alabama native, Brett Simison is now an editorial, commercial, and fine art photographer based in Vergennes, Vt. After earning a degree in Zoology from the University of Florida, he worked for several years as an assistant to National Geographic wildlife photographer Michael "Nick" Nichols while also assisting commercial photographers in his spare time. He has worked for a variety of commercial advertising and editorial clients throughout the U.S., Mexico, and Central America, ranging from product photography in the studio to assignments in the jungle, to teaching photography at the college level. He also headed up the interactive department of a major online advertising agency before transitioning to photography full-time in 2006. 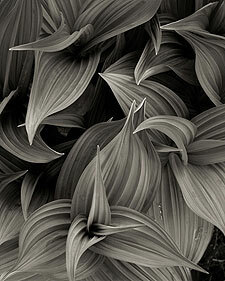 Meet Brett Simison at VCP's opening reception (49 Flat Street) during Gallery Walk on January 3, 5:30 to 8:30 p.m. 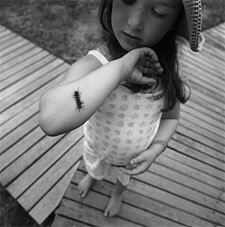 The gallery is otherwise open Friday/Saturday/Sunday from 12 to 5 p.m.; for further info: (802) 251-6051, www.vcphoto.org.